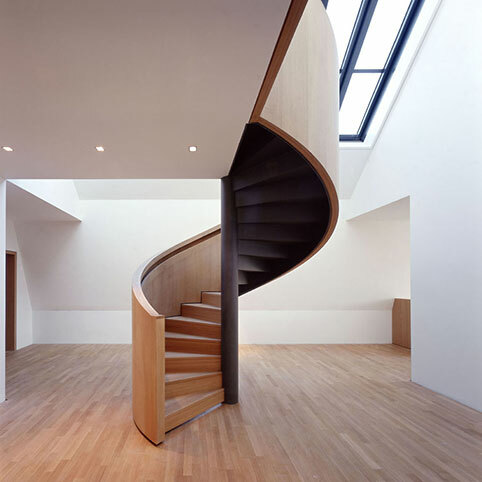 Stairs as a three-dimensional element within the space, physically shaping it: open or closed, sometimes light and almost floating, sometimes elegant and dynamic. Sometimes the heart of the building, the central point, the vertical, the path through the space. Wood, steel, limestone, glass: each set of stairs is different; each one is individual.